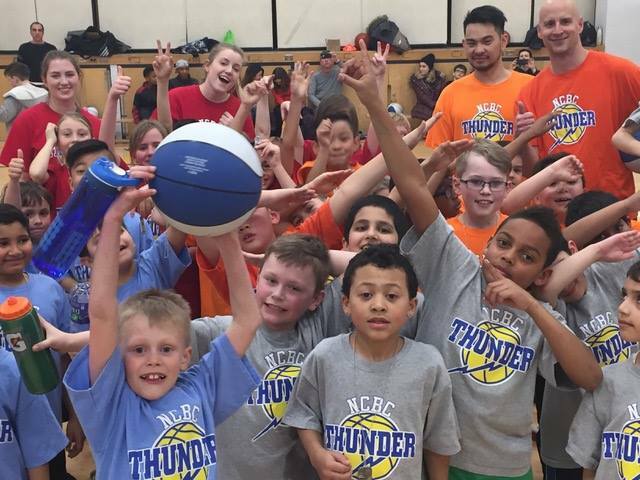 The NCBC Tykes program is focused on teaching the FUNdamentals of basketball. 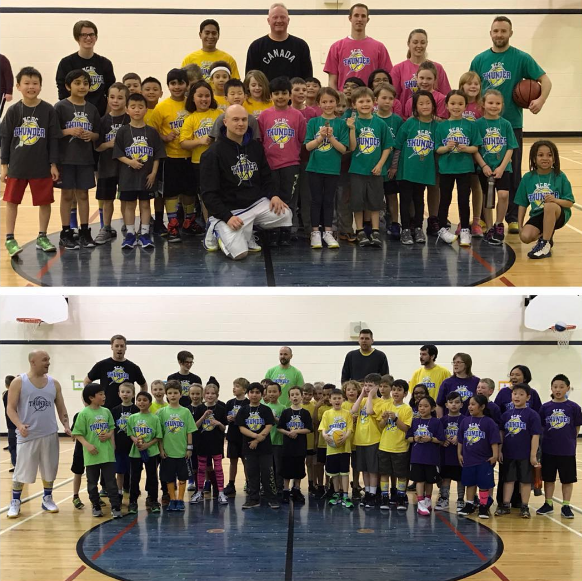 Whether your child is brand new to the game, or a driveway ball fanatic, they will learn basketball skills, game play and build character with our professionally developed program. Our tykes play from mid-September to mid-March. 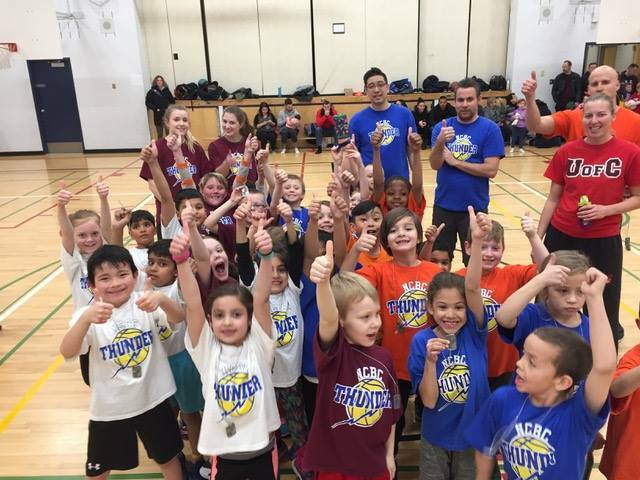 In an effort to achieve our mandate of teaching "FUN”damentals the focus of the NCBC Tykes program is designed to develop fundamental skills, sportsmanship and a love for the game of basketball. We hope to help your kids maximize their potential, and build their character, discipline and self-esteem. We focus on skill development through “camp style” learning where some drills will be run with the entire group, then we will break into our teams for some drills, and then participate in short scrimmages. The games are to be fun with an emphasis on skill development and good sportsmanship. We have smaller teams this year (8 kids max) to facilitate 3 on 3 scrimmaging which will progress to 4 on 4. Coaches and /or assistants will be refereeing and helping to teach the kids on the court. The aim is to get the players comfortable playing basketball, learning the rules, and working as a team. In the Senior division we ask coaches to blow the whistle when there are infractions like double dribbling, traveling etc. so players can learn the rules. Explaining on the court will help the players learn. No foul shots - change of possession only. Baskets are to be lowered (approximately 8 feet). Man to Man defense: Each player has someone to guard. This means try to get your defending player to follow an assigned player not the ball. NO DOUBLE TEAMING. When a player fouls another player, the ball is awarded to the opposing team who then throws it in from the sidelines. Half court defense at all times. This means the team on defense must wait on their side of the centre line until the attacking team has crossed the centerline with the ball. This allows the attacking team to dribble the ball in their half. After Christmas - No over-and-back. Once the ball has crossed the centre line, the attacking team cannot take the ball back into their half of the court. This would result in the ball being given to the other team. No double dribbles. This is touching the ball with both hands and then starting to dribble again. This will be enforced later in the season but players should be warned from the start. No traveling. Traveling is running with the ball without dribbling it. If a jump ball (when two opposing players are both holding the ball) is awarded, the defense will be awarded a throw in from the sideline. When a basket is scored, the defense will throw the ball in from under their net. The team having scored retires to their half. A throw in from the sidelines will be awarded if the ball goes out of bounds. When a player is called on for breaking one of the rules, what has been done wrong should be explained to the player. All rule calls are at the discretion of the referee. Some leeway may be used for the less experienced players. The coaches, players and referees are all volunteers so let’s all work together and help each other out as much as possible. Always remember that positive encouragement goes a long way to help the players improve their game. Please remember that we are guests in the schools and are ALLOWED TO USE ONLY THE GYM.